Despite the inherent excitement, there is always a bit of stress and strain when someone relocates to a new address. Whether moving into residence while attending university, living on one’s own for the first time in an apartment or condo, or changing cities for a new job, it often takes a while to settle into new routines and surroundings. An analogy may be made here for tree planting; whether it is a new tree purchased from a garden centre or an existing tree that is being uprooted and transplanted elsewhere on a property, these are essentially examples of relocation and under these circumstances, trees are not immune to some stress as well. This is commonly known as transplant shock, the result of root damage when the tree is removed from its original location; in fact, trees can often lose 50-75% or more of their roots in such cases. In turn, a tree struggles or stresses to re-establish itself in its new location with a root system that has been harmed/impaired and perhaps even dried out somewhat before it is replanted. 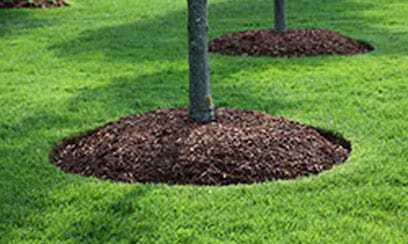 Many residential property owners may prefer to do their own tree planting and tree care. Others though, may not have the time, inclination, and/or confidence to complete these tasks in a correct/effective manner. In such cases, homeowners in Toronto, Newmarket, and Uxbridge can rely on the skills and expertise of an experienced tree care services provider such as DreamWorks Tree Services. Therefore, as with any investments, it may be advisable to consult an expert in the field of tree care to help in making informed decisions and determining the best approach for achieving desired outcomes. Collaborating with the tree care team at DreamWorks Tree Services would be a prudent choice for protecting and optimizing such an investment in one’s property. See our Tree Planting Services page for further information on the full range of tree planting services provided by the specialists from DreamWorks Tree Services. If you are planning to plant new trees or transplant existing trees on your property this growing season, call the tree care specialists from DreamWorks Tree Services today at 647-261-2627 or contact us to request a complimentary consultation with one of our qualified arborists.